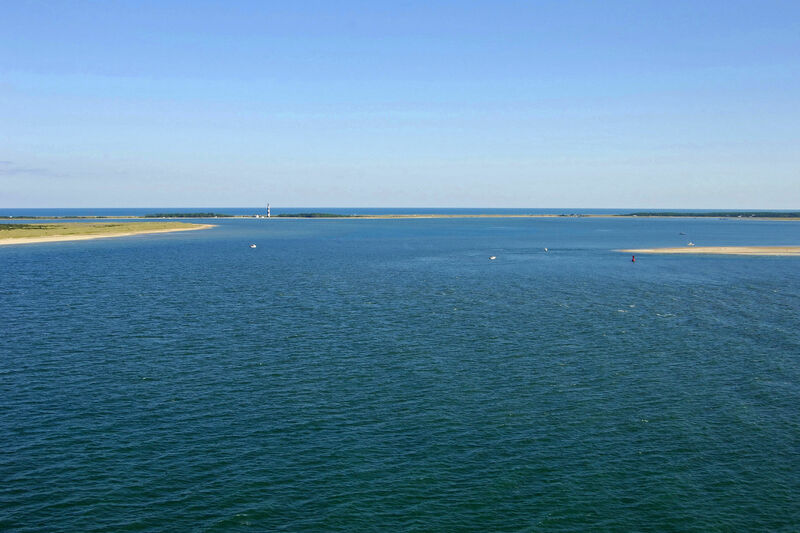 One of three great capes on the North Carolina Coast, Cape Lookout is located 70 miles southeast of Cape Hatteras and 95 miles northeast of Cape Fear. 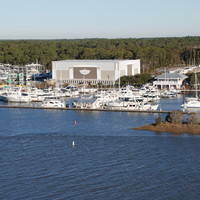 Beaufort, NC, is close by, and the inlet allows passage from the Atlantic Ocean to Back Sound and Harkers Island. 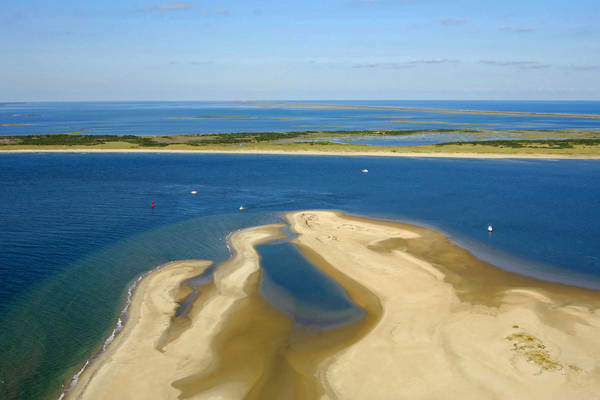 Charted as Barden Inlet, but more popularly known as Cape Lookout Inlet, the water here is very dynamic and shoals are constantly shifting. Since the inlet channel moves locations almost with every tide change or onshore storm, none of the navigational buoys here are charted. 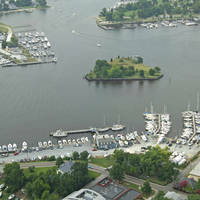 Occasionally, the Coast Guard will survey the inlet and move buoys to reflect the current deepest path of the channel. 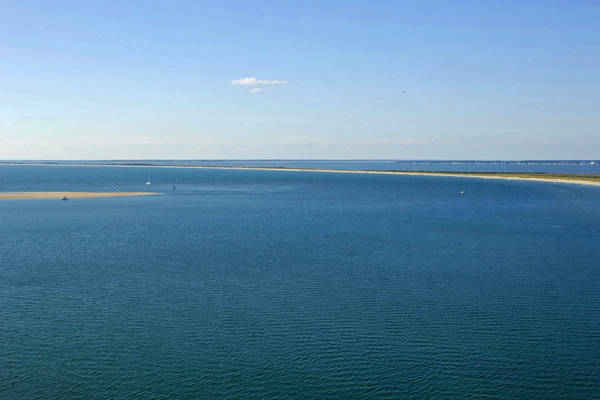 With that said, we do not recommend using the Cape Lookout Inlet unless you are armed with advance local knowledge from a reputable source and your vessel draws less than three feet. 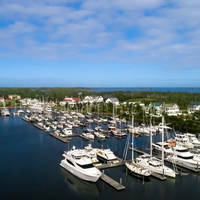 There are three marinas in the Harkers Island area that can assist with inlet conditions via VHF or cell phone. Transient dockage is limited, but some of the facilities may be able to provide an overnight slip if you need one. Use NOAA Charts 11543 and 11545. 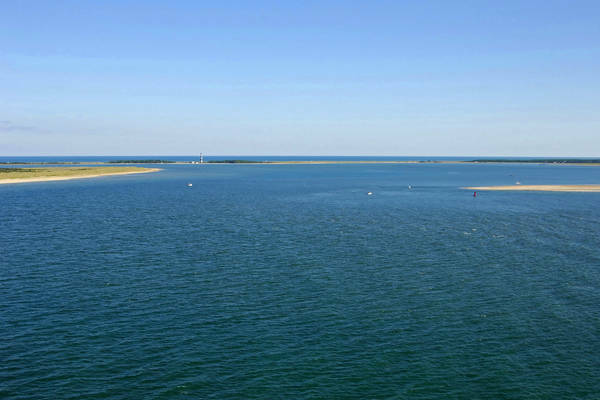 Cape Lookout Inlet must be approached from the west in order to avoid the extensive shoals that extend four miles to the southeast of Cape Lookout. If you are approaching from the north, be sure to at least clear quick flashing red buoy 4 at the south end of Cape Lookout Shoals before heading back north toward the inlet opening. Once you have arrived in the vicinity of the inlet, pick up flashing red buoy 4 north of Point Lookout Bight, and then head in toward flashing green 1. Flashing green 1 is the last charted aid to navigation in the inlet, and you will have to sight the rest in advance as you head slowly into the inlet, The deepest water in the channel traditionally hugs the west shore of the inlet, and then cuts over to the east at Core Banks. No reviews yet! 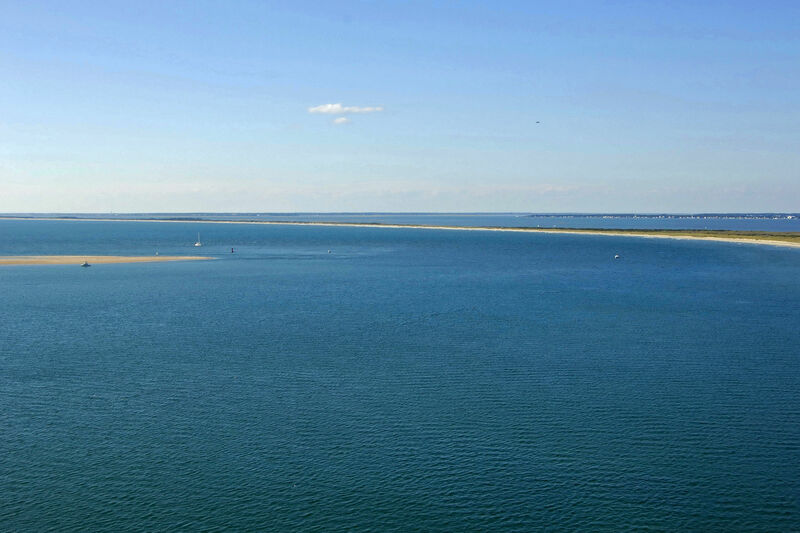 Be the first to write a review of Barden's Inlet.